It's okay to be a different colour. 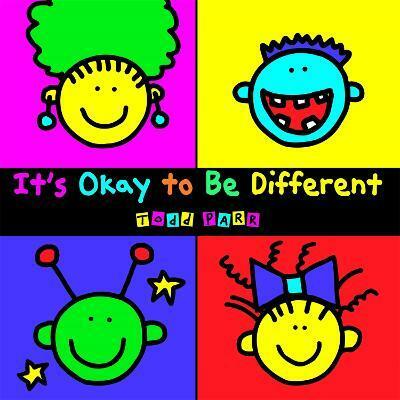 It's Okay to Be Different cleverly delivers the important messages of acceptance, understanding and confidence in an accessible, child-friendly format featuring Todd Parr's trademark bold, bright colours and silly scenes. Targeted to young children first beginning to read, this book will inspire kids to celebrate their individuality through acceptance of others and self-confidence. "Reading this book aloud to little ones, and discussing the pictures and concepts is a great way to start kids on a lifetime of openly discussing feelings and problems. This book has wonderful, feel good, positive messages of acceptance and confidence that promote understanding and are fun to read for kids and the adults who love them." Todd Parr has created more than 30 books for children and the Emmy-nominated animated television show, ToddWorld. He lives in Berkeley, California.